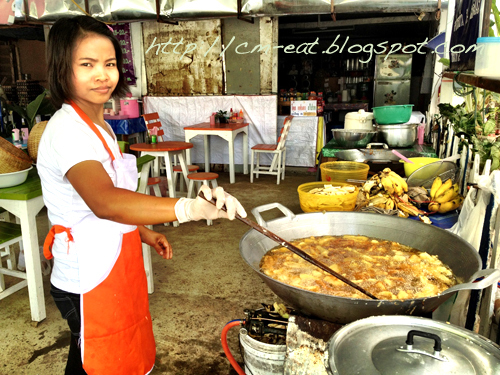 Kuay Tod Yod Hen itself differs from other typical Thai junk food with ingenious fried banana and noodles as a main course. Why Kuay Tod Yod Heng is special ? 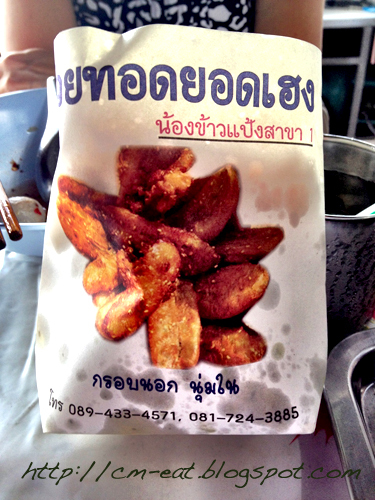 Fried bananas are definitely their specialty. 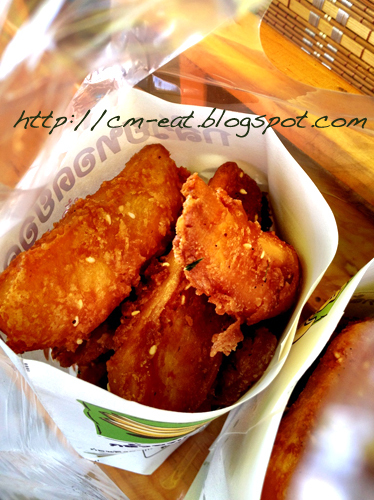 Kuay Tod (fried bananas): Crunchy coconut and sesame batter on the outside, sweet and soft semi-ripe banana on the inside. 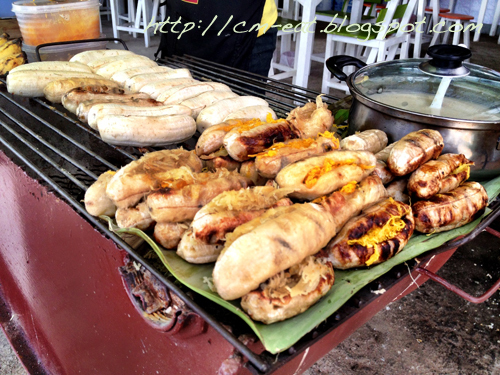 This oh-so-good snack is another typical street food in Thailand. It's not something I have everyday - deep fried banana fritters are not exactly great for the waistline (even if you're eating fruit!). Once you start, its quite hard to stop! Kuay Tod Yod Heng roughly translated as "Very lucky deep fried banana fritters"
This kiosk is didn’t look like a restaurant. A local recommened me this place. They sold fired banana cake and noodles. It was a simple place, but the food tasted good and quiet special. It costed me just nearly 2 dollars. Nice local try!